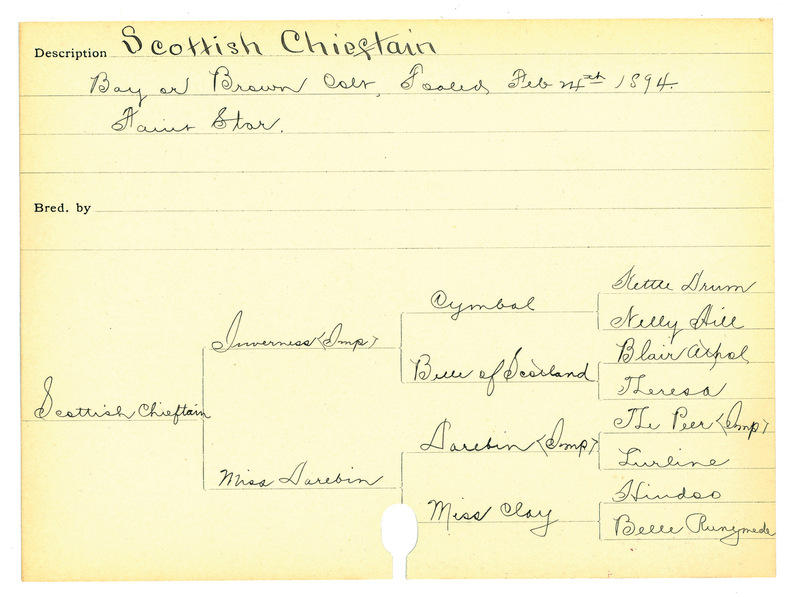 Perhaps it was Sam Lucas who wrote “bay or brown colt” and “faint star” on Scottish Chieftain’s birth card dated February 24, 1894. Lucas was the superintendent of Thoroughbred training and breeding at Bitter Root Stock Farm near Hamilton, Montana. 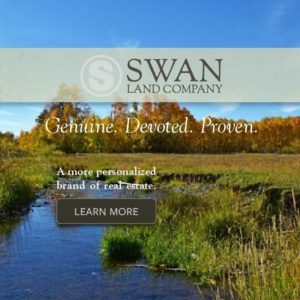 The 26,000-acre spread was owned by copper-mining magnate Marcus Daly, who received recognition and fame in Eastern racing circles as a Western breeder through ownership of the legendary Tammany. But it was Lucas who had ordered the coupling of the English-bred sire, Inverness, and the California-bred dam, Miss Darebin. Their son, Scottish Chieftain, would go on to win the 1897 Belmont Stakes. To this day Scottish Chieftain is the only Thoroughbred from Montana to have won that classic horserace. He should well be our state’s most acclaimed racehorse; instead his legacy was eclipsed by another’s. In 1889 (just five years before Scottish Chieftain was born), copper-colored Spokane hastened to the Kentucky Derby winner’s circle. He is the only Thoroughbred from Montana to have won the Derby. He nailed down two more victories before he began losing. Two years later he was still winless. 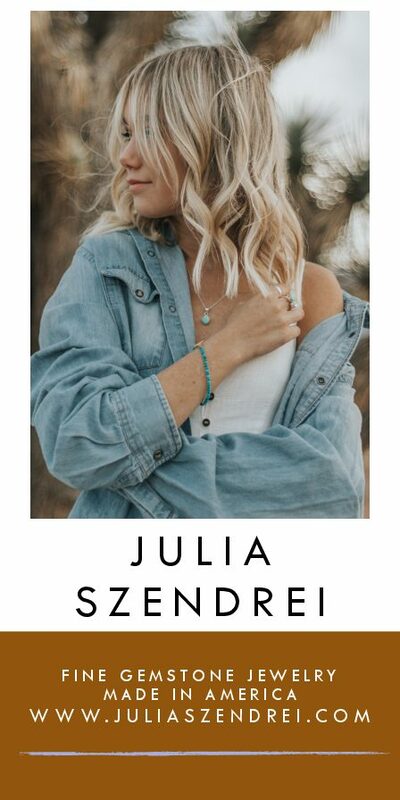 Yet the strength of his Kentucky Derby victory, two books chronicling his life, and scores of newspaper and magazine articles about him, popularized Spokane all the way to his 2008 induction into the Montana Cowboy Hall of Fame. Spokane was foaled at Doncaster Ranch in the Jefferson Valley, so it’s understandable why Montana claims the horse as its own. But in the day, Illinois, Kentucky, Washington and Tennessee also made claims on him. Delve into Spokane’s lineage (like horseracing aficionados do), and you’ll find that he was conceived in Illinois — a long way from the Jefferson Valley. And if you delve into American turf history, you’ll find that Spokane did not win the premium race of his era. A win is a win, certainly, but elite Thoroughbred breeders of the 1890s coveted the Belmont Stakes, (already heralded as an American turf classic), more than the Kentucky Derby. It would be several years, 1915 to be precise, before the Kentucky Derby began to catch up, thanks to an upset of enormous proportions — the unprecedented win by a filly. Given Scottish Chieftain’s history, one wonders why he was ignored and, thus faded into obscurity while Spokane’s legacy prevails. The Chieftain, as turf writers called him, became a racehorse under the tutelage of Sam Lucas. He could not have had a more capable trainer. Lucas, a Kentuckian, earned impressive credentials as a trainer at Robert Alexander’s Woodburn Farm in Kentucky. 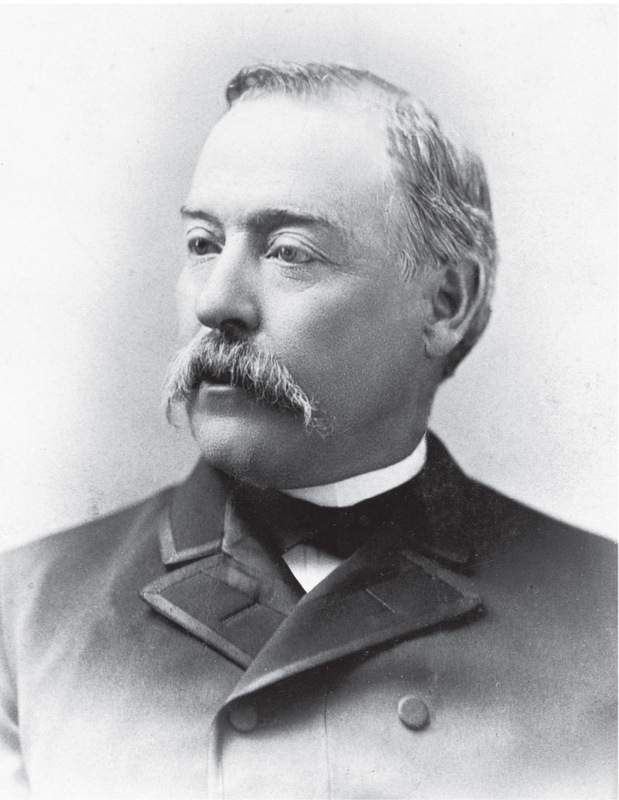 Later, in New York, he conditioned horses for American turf icon August Belmont, Sr. After Belmont’s death in 1890, Marcus Daly convinced Lucas to train for him. “I regarded Mr. Daly’s prospects for raising good racehorses as poor,” was how the underwhelmed Lucas summed things up. Daly listened and brought in new stallions and broodmares. It was his dream to have the greatest racehorse breeding and training operation in the country. In the spring of 1896, Lucas shipped two-year-old Scottish Chieftain east. The trainer held back English-bred Ogden, still too immature for the rigors of eastern racing. 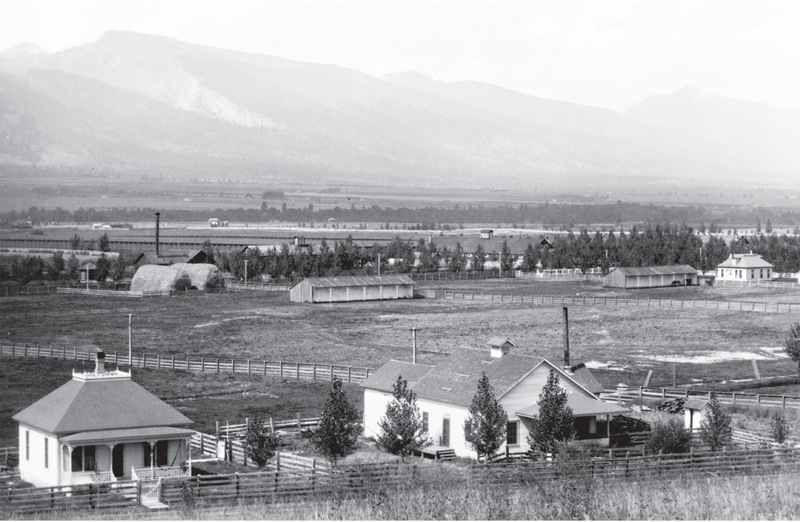 Lucas worked with Ogden on the Montana horse racing circuit, principally in Butte and Anaconda, until the colt got his legs going like a Thoroughbred and pounded out three wins. After those victories, Ogden found himself at Sheepshead Bay Racecourse in New York where Scottish Chieftain campaigned with modest success: He captured three of eight starts, came in second once, third twice and unplaced twice. He and Ogden settled in with Marcus Daly’s eastern trainer, Matthew Byrnes. Byrnes was a New York native who got into the horse racing game as an exercise rider. He became a jockey and later a trainer for turf icons August Belmont, Sr., and Pierre Lolliard. His 2011 induction into the National Racing Hall of Fame validates his greatness as a trainer. Ogden was whisked to the winner’s circle. Scottish Chieftain, who finished fourth, was led away. Perhaps Byrnes instructed the jockey to hold back The Chieftain and give Ogden his chance; in the months preceding the race, Scottish Chieftain was routinely outrunning Ogden in their workouts together. This posed a dilemma for Byrnes: Which horse was the lesser horse? If this was indeed what happened, it’s a tactic Byrnes would try again in the 1897 Belmont Stakes. Even though he was on the fence about it, he put his money on Ogden and relegated Scottish Chieftain to a mere a strategic device. The Chieftain’s role then was not to win the race, but to act as Ogden’s rabbit; or in other words, catapult into the lead and set a pace so fierce as to kill off the competition. Once that was accomplished, the jockey would slow down The Chieftain and bow out so that Ogden would win. Another turf man coveting a Belmont Stakes win would employ the exact strategy as Byrnes. August Belmont, Jr., entered two of his champions in the race named for his father. The first horse, Don De Oro, was a multiple stakes winner. The second was Octagon, winner of the Withers Stakes two weeks earlier, who was nevertheless set to run as Don De Oro’s rabbit. On race day, May 29, the August Belmont pair was the favored entry at 9 to 10, while the odds on the Daly pair were 9 to 5. A writer for The Sun, a New York newspaper, described the scene at Morris Park Racecourse: “[T]he fifty-cent field was crowded and the lawns in front of the stand were literally a mass of black and gray hats, coats and trousers when the men assembled between races after they had made their wagers.” (The race was moved from Morris Park to Belmont Park Racecourse in 1905). On the track, six snorting, lovely Thoroughbreds lined up at the start. The flag dropped. In the first turn of the 1-3/4 mile race, Don De Oro unexpectedly found himself in the lead. He was forced to set the pace. His strides were surprisingly relaxed even though his rabbit, Octagon, was nowhere to be seen and Scottish Chieftain lapped at his heels. At the head of the home stretch the horses bunched tightly. Their pace quickened. The bunch galloped furiously toward the finish. Scottish Chieftain and jockey Joe Sherrer made their move. Don de Oro, exhausted, made a feeble effort to match strides. Suddenly another competitor, On Deck, tried mightily for the lead. Sherrer urged The Chieftain for more speed. The Chieftain flew. One quick, sharp movement later he thundered past the finish. He won by a length. On Deck and Octagon finished second and third, respectively. Don de Oro came in fifth. Ogden crossed the finish line last. During Daly’s life, 1,200-head of horses were kept on the Bitter Root Stock Farm. 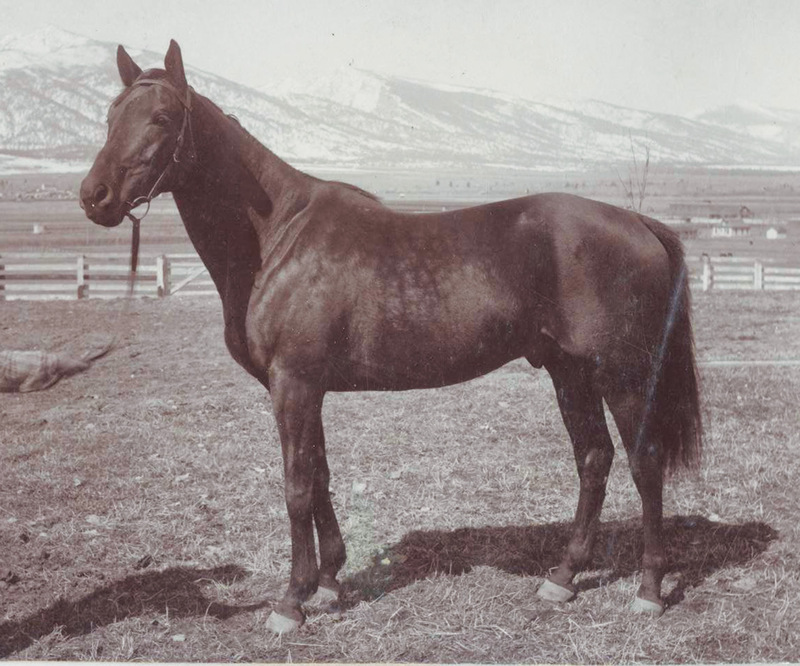 He bred some of the best-known racers at the close of the 19th century, including Ogden and Montana. He hired the best trainers, veterinarians and jockeys in North America, and Bitter Root soon became famous across the country as Daly’s horses broke American records at the top racetracks in the east. In 1901, the year after Daly’s death, 369 of his racehorses were sold at a series of auctions in New York City’s Madison Square Garden and San Francisco. Grossing over $700,000, it was considered the greatest horseracing stock sale in America at the time. Miss Darebin. 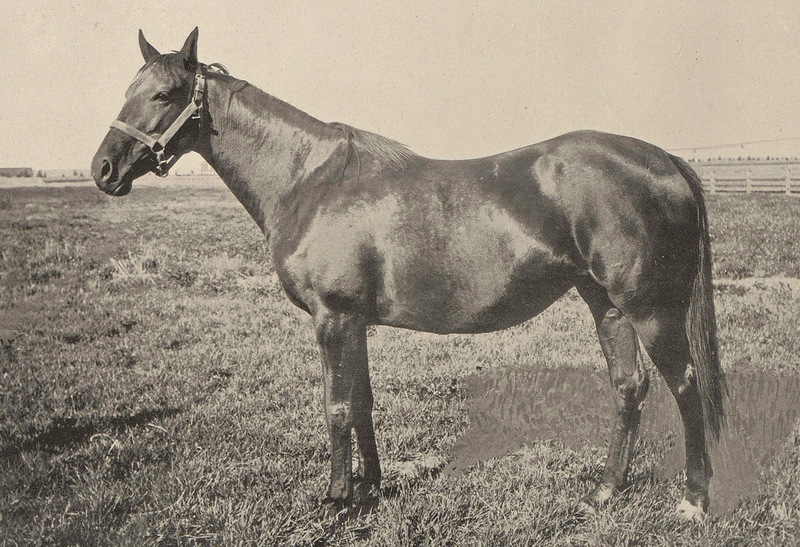 “A more notable collection of mares than which [Daly] has gathered at Bitter Root has seldom, if ever, been seen in the United States,” wrote turf writer Horace Lyman Weeks in 1898. Ogden was bred at Aperfield Court, a second horse farm in County Kent, England, where Daly diligently gathered Europe’s choicest racing stock. 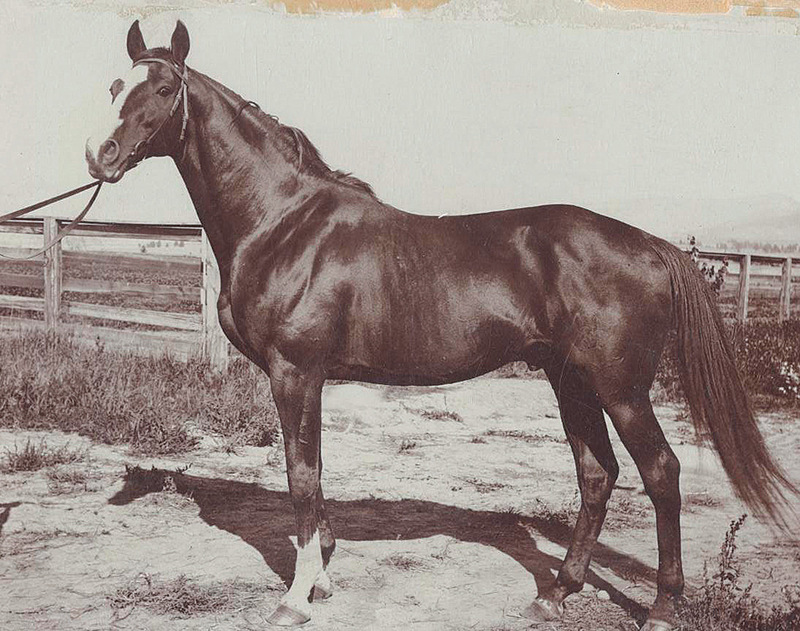 After Ogden won the prestigious 1896 Futurity Stakes, turf reporters referred to imported and unknown Ogden as the “horse of mystery,” and his jockey, Doc Tuberville, “boy of mystery.” Ogden won 15 of 28 races, placed second eight times and placed third once, raking in about $160,000. He went on to a successful career as a sire. 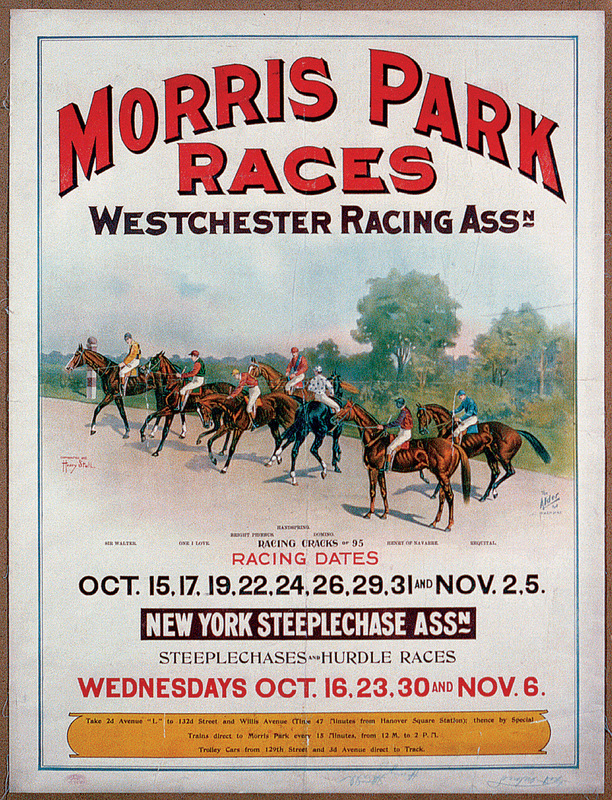 The Morris Park Race Course in New York hosted the Belmont Stakes until 1905. Inverness was a successful racehorse in his native England before Daly brought the stallion to the farm for stud duty.